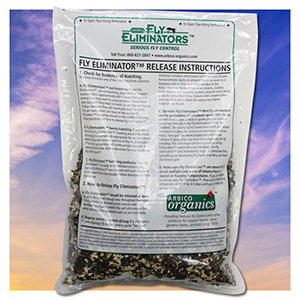 Create A Fly Eliminator Program In 4 Easy Steps To Fit Your Needs! US MAIL Shipping Included. Pay-Per-Shipment is not available when using PayPal at checkout. Fly Eliminators are gnat-sized, nocturnal, burrowing fly parasites that parasitize and kill manure-breeding fly pupae (filth flies) to control adult flies. They do not bite, sting, or harm humans and animals. Larval control is one necessary step in a complete fly control program. Adaptable to all climates, these parasitic wasps develop within fly pupaes, killing the immature fly in the process. The adult Fly Eliminators' life span is dependent on temperature, but averages 3-4 weeks. Periodic releases of Fly Eliminators are recommended to keep up with the highly active female flies rapid egg laying. Expect a reduction in general fly population in four to six weeks. Fly Eliminators are suitable alternatives to chemical fly sprays and broad spectrum insecticide use for prolonged fly control. Use the pull-downs above to select the correct Fly Control Zone, number of animals, desired shipment frequency and total number of shipments you would like. Please specify if you would like to Pay-Per-Shipment in the "Special Instructions or Comments" box on the Shipping Information section of checkout. If the preset shipment dates are not to your liking, please indicate your preferred start date in the same "Special Instructions" or comments field. Release when spring temperatures first arrive (after final frost date). It takes three consecutive days of 40°F weather for the overwintering fly populations to start hatching and maturing. Each female fly lays up to 1,000 eggs in her lifetime, so it is important to begin releasing the parasites early in the fly season. Released fly parasites begin parasitizing fly pupae immediately after hatching. Continue releasing the Fly Eliminators throughout the entire fly season (until the first significant frost). It is important to release all recommended batches. The last batch may overwinter in warm climates, but should not be relied upon for fly control the following season. Notify an ARBICO consultant if any of your conditions change, ie. you have more animals, ants are becoming a problem, or your neighbor just brought home more animals that may affect fly numbers. Use Fly Eliminators in conjunction with EM-1 Microbial Inoculant to help break down organic matter along with good manure management. If you don't see a program above that fits your needs we are happy to help you set up a custom program over the phone. Please call us to speak with one of our knowledgeable fly control consultants and customize your Fly Eliminators program. For example, if you have a dairy or poultry facility, you may need to increase the shipment frequency for successful fly control. Do not spray the treatment area at the same time you release the insects. If you must spray, we recommend that you spray 48 hours before or after releasing the parasites. The information below will help answer most of your questions about Fly Eliminators. If you have unanswered questions, please call us at 1-800-827-2847 so we can answer them! Click here for instructions in Spanish (instrucciones en español). To release, make a small hole in the ground with your shoe heel, drop in a small handful of Fly Eliminators, and cover them with straw, earth, or manure to protect them against wind, birds, ants or pesticides. Distribute them every 15-20 feet around highly active breeding sites. Use as small as a teaspoon or as large an amount as a handful. 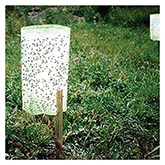 Fly Eliminators travel up to 150 feet in search of fly larvae and pupae. Apply to as many hot spots as possible with your first application, concentrating heavily on the obvious fly-breeding areas. Repeat this release procedure in slightly different spots on subsequent applications. This will help new cultures of parasites distribute evenly throughout the fly season. 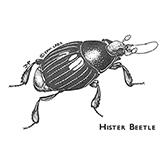 DO NOT place the parasitized pupae in standing pools of water or in the center of manure piles. Apply them around the perimeters of those areas. Standard shipping via US MAIL is included in the price of each shipment. Shipping upgrades are available, call us at 1-800-827-2847 for pricing and to make shipping method changes. Fly Eliminators are shipped as parasitized fly pupae mixed with wood shavings. Release small handfuls around "hot spot" fly breeding areas. Examine the clear plastic bag for insect movement upon arrival. It is time to disperse the Fly Eliminators when you see insects crawling around the top of the bag. If you do not see movement within the bag, place the bag in an old pillowcase and set it on top of your hot water heater or refrigerator. This will speed up hatching. Check them for fly parasite activity daily. Hatching can take up to 10 days to occur. You will receive a shipment confirmation email with tracking information about 7 days prior to the shipment leaving ARBICO. Pick up Fly Eliminators shipments as soon as possible after delivery. DO NOT leave insect shipments in direct sunlight or areas of intense heat. Store them at room temperature (approximately 70-80°F) until they begin to hatch. Release as soon as possible after hatching fly parasites are visible. 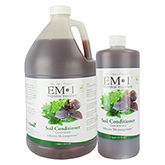 I love this product and I called customer service with a question and they were very helpful and professional. Thank you! 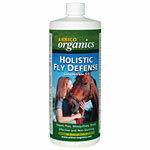 I have been using the Fly Eliminator program for several years on my small, 2-3 horse property. The fly population has been kept under control and, in fact, has diminished each year. I recommend this product! I still have flies but my coach always remarks that I hardly have any flies compared to the various farms where she teaches. Plus I barely had any bot fly eggs on my horses this year. A fly control program that works ! I've been using the little fly predators for years. A simple way to put it is, "They Work"! I'm in a very hot climate and have never had an order not hatch. The shipments are very well packaged. ARBICO staff is easy to work with and provide a high quality product that works. Lots of info on the website and well written instructions. 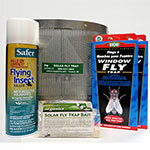 I use the fly predator program as well as the solar fly traps. The traps work very well They are washable and sturdy and will last for years. Owner Response:Thank you for your inputs! We are always working to improve. Glad to hear the combination of Fly Eliminators and Solar Fly Traps is working for you! Could not be happier. Have used these for many years and last year had no flies. No need for fly masks for the first time. These combined with excellent manure management have kept the horses and us very happy. I have two riding horses and three minis, I use this product every year, I have never had a fly problem ever, no fly masks needed. This tiny bugs are a big help in reducing my fly problems. I've been buying these tiny guys for at least 15 years and will continue to do so. Have been using the fly eliminators for years and it really makes a difference. Love them, our ranch is so much better and they take care of the barn flies so well. I have been using your products for quite a few years now and or place is almost fly free. It's noticed by or friends and folks that stop by. With four horses and a pony people expect flies so it is really noticeable when they are bothered by them. Thanks for great products. Owner Response:Thank you for the positive feedback and coming back with us! I have been using this product for years. I conducted my own experiment and went with out one year some time ago, it was the most miserable summer for me and my horses. The little buggers work!! Owner Response:Thank you for using the Fly Eliminators. We are so happy to hear that they are doing such a great job for you! Love the control and the ease of use. I wouldn't go a season without it. Best thing I've ever used. Don't even need fly strips anymore. Owner Response:Thanks so much for writing to us! We are happy that you are satisfied with the Fly Eliminators. Buy them---your horses will thank you! I have purchased them for a couple of years now. Even the farrier noticed we didn't have the fly population other horse owners had. That was validation for sure. I credit the fly eliminator program. I started using the fly eliminators this spring. It made such a huge difference that I will continue to use them. Very happy with results. I love these little guys. They do an amazing job. When everyone else's barn is full of flies I have almost none. You must have a safe place for them to grow and flourish. I have a covered bin. We have a ten stall barn and have been using fly parasites from Arbico for 12 years. The one year I forgot to order them was the only year we have had flies in our barn. Coupled with a good manure management program, the fly wasps are all you need to keep flies to an absolute minimum. Arbico reliably sends them every two weeks and they are easy to distribute. 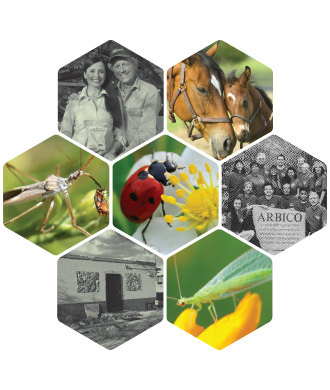 We love Arbico fly parasites! Begin by matching your state to the Fly Zone you are in. You may want to shift a zone if your elevation or microclimate is unusual. Start & end dates shown on the map indicate suggested start and end dates for Fly Eliminator programs. You can start anytime during the year. Choose "Year Round" for climates that have flies all year and start now. Be sure to account for all animals and livestock on your property when selecting the number of horses. Not sure what you need? Give us a call at 1-800-827-2847. PROGRAMS: Ships every 4 weeks. For low to average fly levels, frequent manure management and few neighbors. PROGRAMS: Ships every 3 weeks. For average to high fly levels with weekly manure management or nearby livestock. PROGRAMS: Ships every 2 weeks. For high fly levels with infrequent manure management and nearby livestock. Select from the dropdown list to customize the number of shipments and program start/end date. The shipment schedule will display below for your review when a selection is made. For "Year Round" programs, shipments will start immediately. Not sure what you need? Give us a call at 1-800-827-2847.